I grew up outside of Philadelphia, Pennsylvania, spending as much time as possible at the barn. After begging my parents, much babysitting, saving, and stall cleaning, my dream of having my own horse finally came true when I was fourteen. With my first horse, Perfect Timing, I competed mainly in the hunter divisions as a junior. I continued riding in college, serving as captain of the varsity intercollegiate equestrian team while pursuing a dual major in biology and French. After college, I spent a year teaching English in rural France (and also taking riding lessons in French!) Still, equine veterinary medicine remained on my mind, and I returned to the U.S. to attend veterinary school at the University of Minnesota. 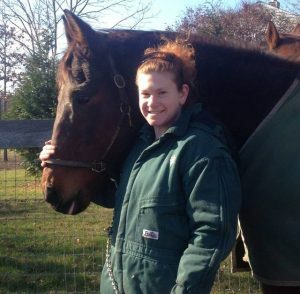 Following graduation, I completed a one-year internship with an equine referral and ambulatory practice in New Jersey, then returned to Pennsylvania to join an equine ambulatory and racetrack practice. 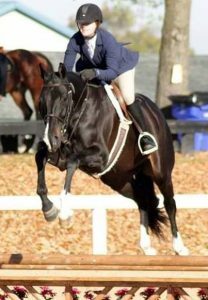 While working at the track, I acquired my second horse, Celtic Wonder, and we had the incredible opportunity to compete at the 2016 Thoroughbred Makeover. After nearly 4 years in Pennsylvania, I was ready for a change in scenery, so I relocated to Colorado in the spring of 2017. 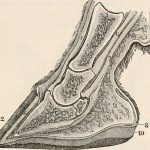 I love the variety and challenge of equine ambulatory practice, but I am especially passionate about geriatric horse care, dentistry, wound management, acupuncture, emergency medicine, and lameness/podiatry. Providing advanced, high-quality equine care is my priority. I continually strive to offer my clients the most current treatment options and information. 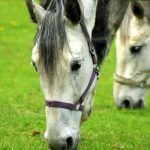 I’m excited to offer acupuncture services and look forward to adding new skills and services to continue providing comprehensive care for your horse. When I’m not working, you’ll find me exploring Colorado- skiing, snowshoeing, hiking, mountain biking, rock climbing, and of course, riding.